We are delighted with the news that four parks in Wolverhampton are among the very best green spaces in the country – and that’s official! We hope you are too. 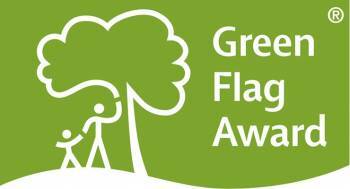 Each of the parks below have received a Green Flag Award – a sign to visitors that they are well maintained, well managed and have excellent facilities. To help us celebrate, we were joined at the bandstand with children from a local school (together with Councillor Elias Mattu – the City Council’s Cabinet Member for Leisure and Communities). It’s the fifth year running that West Park and Bantock Park have secured the award, and St Peter’s Gardens has received a Green Flag every year since 2009. Over in the south-east of Wolverhampton, Phoenix Park picked up its third Green Flag since a £1.6m makeover which was completed in 2010. The four parks which have today received Green Flags each offer something different for their visitors. West Park is considered to be one of the best, unspoiled examples of a Victorian park left in England. It features a boating lake, conservatory, tea room, bandstand and beautiful floral displays and hosts numerous events for all the family throughout the year. Bantock Park is equally popular with visitors young and old, nestling alongside the fascinating Bantock House Museum with its wonderful cafe, are sports pitches, children’s play area, pitch and putt and an outdoor gym. Phoenix Park in Blakenhall has been given a new lease of life, thanks to a major redevelopment and now offers an adventure play area, fitness equipment, wildflower meadows and lavender maze, ball courts, an outdoor gym and playing fields. Meanwhile, St Peter’s Gardens is a tranquil area in the heart of Wolverhampton, which is a popular lunch spot for city workers. 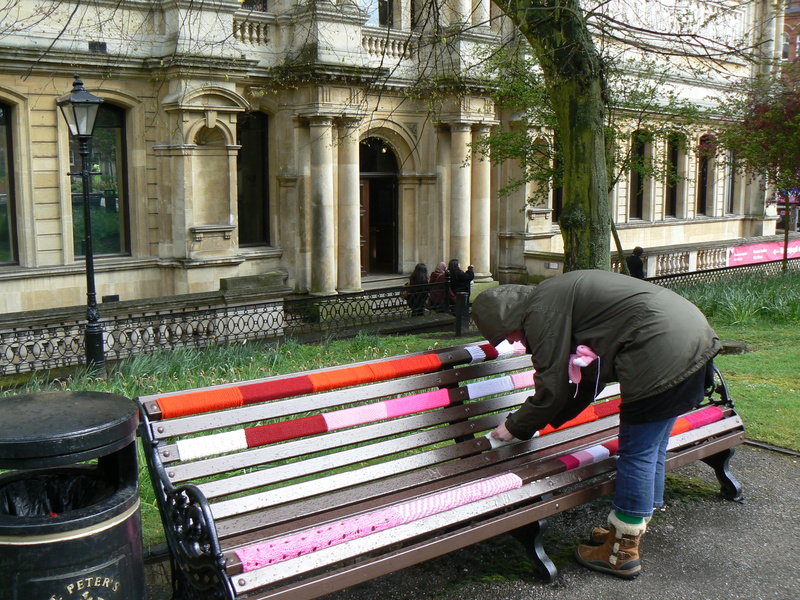 It also recently enjoyed a colourful contribution from “yarn bombers” as part of a project run by our colleagues at Wolverhampton Art Gallery. 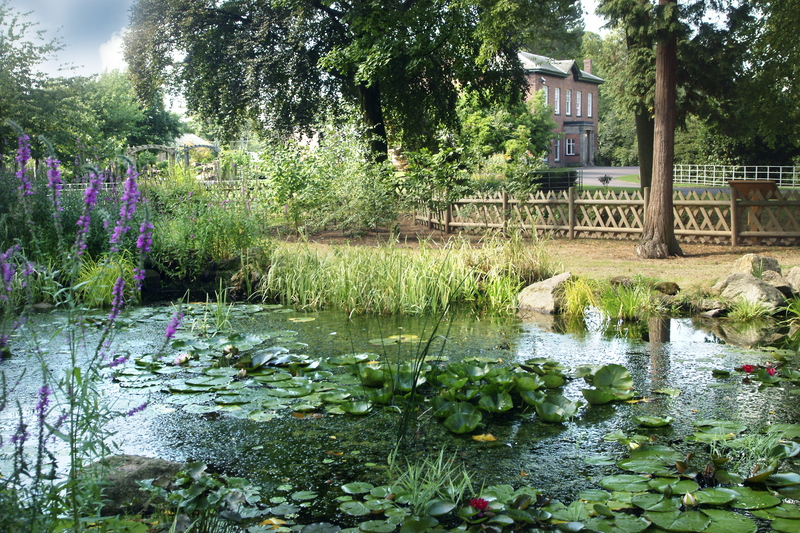 West Park and Bantock Park were named Green Heritage Sites for the fourth year running. The award aims to promote the value and upkeep of historic sites like our two Wolverhampton parks. 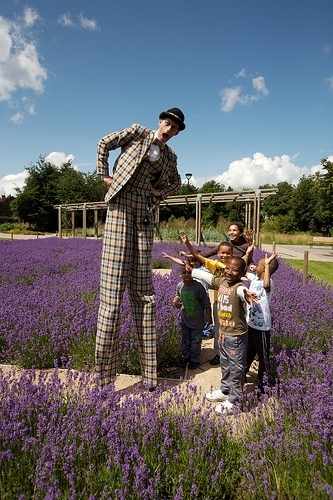 So, if you’re not sure where to go or what to do to keep the children entertained during the school summer holidays – then why not get them along to your nearest park and have some fun. You can find all of our events listings here. What a great job you guys do, the park rangers should be justly proud. I just hope that through all the cutbacks, there will be enough people to look after our valuable parks and green open spaces and to keep them in tip top condition.